GoPro Inc. announced an action camera called GoPro Fusion, a single camera that can record 360-degree images. Fusion was created to answer the ongoing VR (virtual reality) trend. Most 360 ° video from 360 ° cameras on the market today have an unsatisfactory 360 ° video record. This is where GoPro Fusion ideas are created. With GoPro Fusion users can now record and capture the action from any direction such as using 6 pairs of GoPro camera in one. In addition, due to GoPro OverCapture technology, users are also enabled to create non-360 ° video from this camera's 360 ° video record. The interesting thing about Fusion is its ability to record images in 5.2K resolution. In addition the size tends to be small and fit in pairs with mounts or other GoPro accessories. GoPro Fusion has a higher resolution of 4K, users can crop digitally and still get the images with high resolution. GoPro Fusion 360 Degree Camera. This latest GoPro camera variant offers a very impressive capability. The specification itself is not divulged in more detail. However, GoPro Fusion is claimed to be capable of photographing photo spheres and recording video up to 5.2K resolution at 30fps. Above average most action cameras. This is due to a feature called OverCapture into Fusion. This feature is useful to help users to crop HD quality from the video content of 360 degrees 5.2K quality. Like its specifications, GoPro also still not divulge further when this camera will be available in the market. GoPro Fusion debut just opened with a special program to invite users to participate further try this camera sophistication. Fusion itself is not made exclusively for 360 degree content or virtual reality. Users can also use it to create conventional videos or just photos. Unfortunately, not everyone can get this GoPro Fusion. 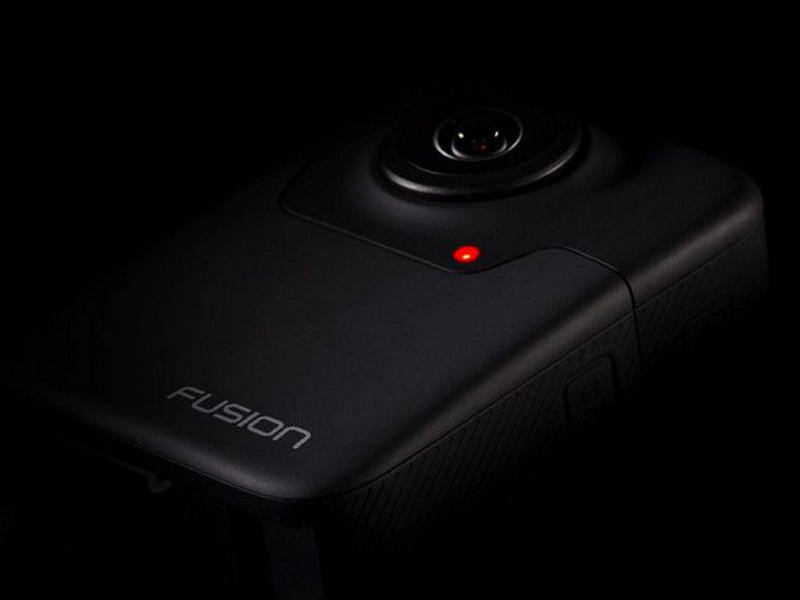 The action camera company released Fusion for commercial activities, just like the 360-degree Odyssey or Omni rig camera. Now GoPro is opening a pilot project for 360 creators who want to test Fusion. While commercial release is planned to be done at the end of 2017. Not yet known other details about the price and specifications of the camera. Well, if interested you can visit the following page. 0 Response to "GoPro Fusion, 360 Degree Camera That Can Record 5.2K Video"